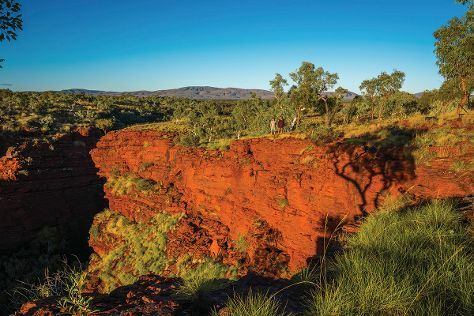 Keep things going the next day: take your sightseeing to a higher altitude at Mount Nameless and then explore the striking landscape at Karijini National Park. To see ratings, where to stay, reviews, and more tourist information, read Karijini National Park tour itinerary builder site . Perth to Karijini National Park is an approximately 16-hour car ride. In May, Karijini National Park is a bit warmer than Perth - with highs of 32°C and lows of 18°C. You will leave for Ningaloo on the 30th (Thu). To see other places to visit, ratings, reviews, and more tourist information, refer to the Ningaloo trip website . Traveling by car from Karijini National Park to Ningaloo takes 7 hours. In May, daily temperatures in Ningaloo can reach 33°C, while at night they dip to 18°C. You will leave for home on the 3rd (Mon).